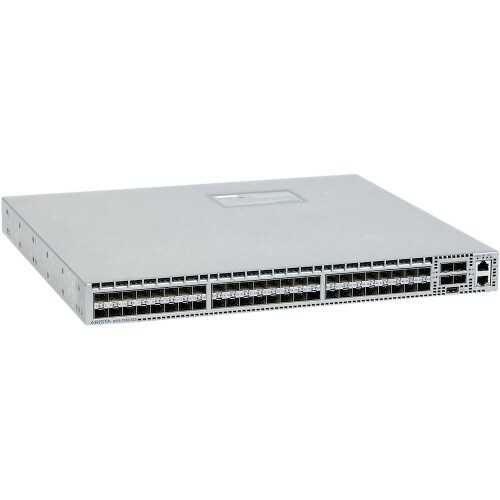 The Arista 7050 series 1/10GBase-T switches o?er wire speed layer 2/3/4 performance with 52 or 64 ports of 10GbE in a compact 1RU chassis. The 7050T switches o?er 48 auto-negotiating 100Mb/1Gb/10GBase-T ports with standard RJ45 interfaces and a choice of either 4 40GbE QSFP+ interfaces or 4 10GbE SFP+ ports. 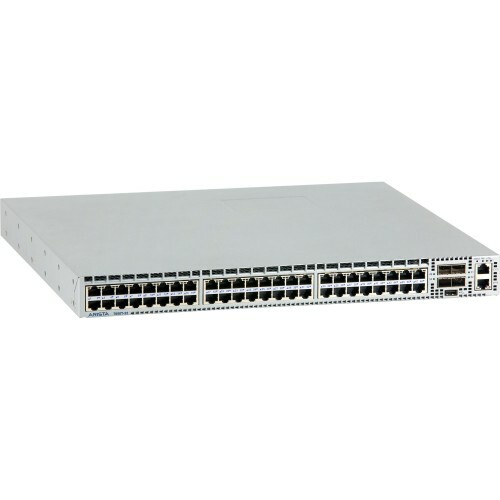 The QSFP+ interfaces can operate as either a 40GbE port or as four independent 10GbE ports to provide a total of 64 10GbE ports in the 7050T-64 model. Positioned for data center server access the 7050T switches o?er backwards compatibility with existing standard Gigabit Ethernet cabling and investment protection for migration to 10 Gigabit Ethernet.